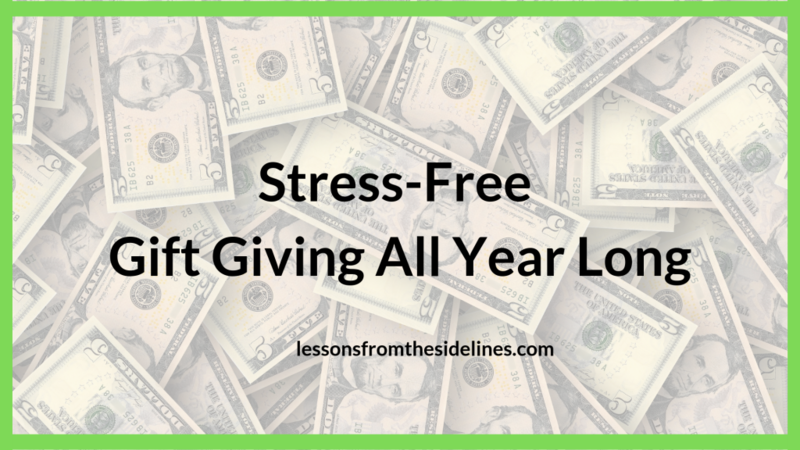 It may seem crazy to start saving for Christmas while you are still cleaning up from your holiday celebrations, but I promise that implementing simple strategies now will reduce your stress with gifts all year long. Rarely does a month go by that a birthday present or thank you gift isn’t a part of our budget. Now days there are so many ways to earn cash back bonuses or gift cards that with a little planning ahead and a few minutes of attention each day to apps you can enjoy giving gifts stress-free all year long. Powered by Yahoo, Swagbucks is a search engine, but unlike Google, you are awarded points for searching at random. You can also earn additional points by activating Swagbucks for an online purchase. You earn a percentage of purchases made back in points. For example, purchasing clothes on Walmart.com can earn you back 3% of the dollar amount back in equivalent points. Swagbucks also gives codes almost daily for points which you can add into your phone app and offers the opportunity to watch videos and take surveys for additional points. Amount earned each year: $50-75 without watching videos $250 a year including videos. My favorite way to use Swagbucks is to shop online with Walmart for grocery pick up. Dosh is the free cash back app that finds you money for shopping, dining out, and pumping gas at thousands of merchants and brands nationwide. Start getting paid for doing the things you already do. Get paid when you shop and dine at the places you visit every week including Walmart, Chevron and Texaco stations, Pizza Hut, Sam’s Club, Hallmark, Sephora, Forever 21, and many more! Simply download the Dosh app, securely connect your credit and debit cards, and live life as usual. Every time you use those cards, Dosh searches for available offers that match your transactions. If it finds one, Dosh automatically redeems the offer and converts it into cold, hard cash, then deposits it directly into your Dosh Wallet. You don’t have to do a thing. Download Dosh now and get paid to do the things you already do. Securely link your credit and debit cards. Whenever you pay with your linked cards, Dosh gets you cash back. Pay with your linked card at thousands of stores, gas stations, and restaurants, and get up to 10% cash back automatically in your Dosh Wallet. Do what you want. Transfer your cash to bank accounts, PayPal, or donate to charity from the app. Use my referral code BETHW36 and we both earn $5. My Points works in various ways. You can earn points for clicking on daily emails, watching videos, doing surveys or shopping through their web browser. This year I stepped up my video watching (or running) since I work from home I’ve set up a schedule to allow my phone apps to run while I’m working. Since I need my phone nearby anyway I can watch while I work. Time spent each day: 2 minutes opening emails. Videos can run for an hour without it being a waste of time. Amount earned each year: $15-20 without watching videos, $100 with video watching. S’more is an app where you earn points in exchange for the app to run ads on your lock screen on your phone. Every day they give you points in exchange for having the S’more lock screen installed. (use code YLRBLF to earn a bonus for you and me!) Additional points can be earned by filling out qualifying surveys or filling out special offers and watching videos. With Fetch Rewards, you earn some points for everything you buy, but you can increase your earnings by selecting their featured deals for the month. I love this app because it is way less tedious than Ibotta and I’m rapidly building rewards. Use B0HYE (that’s a zero) for a bonus 2,000 points when you get started with Fetch Rewards! In one year I’ve earned $30 just shopping for every day items and scanning a receipt. Ebates is another company that gives you cash back for shopping through their online browser. While it’s likely you will find similar cash back percentages across the board every day worth it to compare who has the best offer, especially with large ticket items. For example, as I’m writing this Ebates is offering 13% back from GAP. Time required: 1 additional minute to online shopping. I’ve been using Ibotta for 28 months, and as I type this post, I have earned $400.00 Ibotta is an app that links to your shopping card at most grocery stores. It also provides offers for items at many restaurants and online companies. Money is earned back for purchasing products such as groceries and clothing. I’ve earned a lot less with Ibotta since shifting to grocery delivery and pick up services. Since you have to have a printed receipt and they just started syncing with Meijer it’s a hassle. Additionally, unlike Fetch rewards you have to preselect the items in order for them to count when you make a purchase. Although I prefer to cash my money in for Amazon gift cards, Ibotta offers multiple options including Paypal! There are many additional options for ways to earn cash simply by checking in to a location or running videos on my phone. I’ve highlighted the ones that I feel are the best time investment for busy families. With a few daily strategies that don’t interrupt my daily routines, I’m able to build up a great fund for giving gifts that doesn’t stress our budget or waste my time! Logged in as Beth Walker. Log out? I can’t believe we’ve blown through another month! These four weeks have been packed with camping, football practices, family visits and rest. 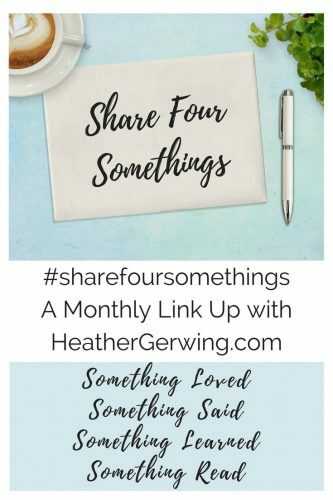 I’m linking up with Heather Gerwing for #sharefoursomethings again and highlighting my favorite things from July! I loved my weekend alone while my men were camping. It’s one of my favorite family traditions, which is ironic since I don’t participate in the actual camping part. But as the mother of pre-teen boys, I am deeply grateful for my husband’s willingness to pour wisdom and truth into them while seeking adventure. This month for The Glorious Table I wrote about Barna Research Group’s newest report about how Generation Z is processing their faith. It’s alarming to me how far we’re moving as a nation from the Biblical definition of faith found in Hebrews 11. I believe this is a situation where we cannot bury our head in the sand and expect it to work itself out. I’ve spent the summer in 1 and 2 Corinthians with the summer She Reads Truth study. A friend and I decided to invest in the workbooks and I’m so thankful we did. This has been a timely study and the weekly discussions have added an important layer. While this is not something new, this month I have been reminded how important it is to compare what other people say the Bible says to what the Bible actually says. 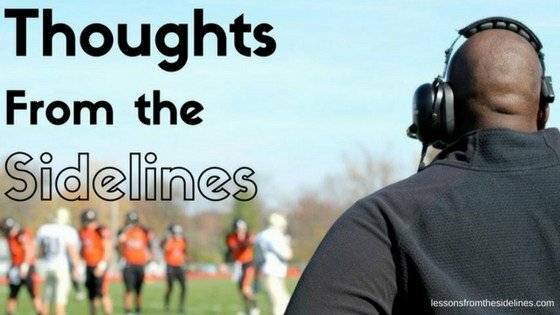 As an Enneagram 2 I relate on MANY levels to this post by fellow coach’s wife Kelly Youngblood. She says. “When you’ve moved around as much as I have, belonging is a lot harder to come by and fitting in is–in the short run–is a lot easier.” Read more on Kelly’s post How Do You Like Your Eggs. Head over to Heather’s blog to read what others are sharing this month! These days I’m finding audiobooks and podcasts way more interesting than what I can pull up on TV! Whether I’m in the car, on a walk or working there is something playing in the background. 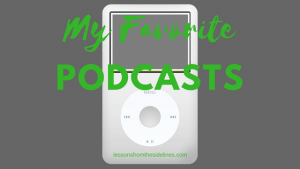 This summer I’ve discovered several new podcasts that have quickly become new favorites. Lisa Whittle – 5 Word Prayers I store these up and listen to several at a time but each 5-minute episode is PACKED with information and or tips. Alli Worthington Podcast Alli has been a favorite author of mine for years, so it’s not surprising I love her podcast except not ever author transitions well to other mediums. Alli’s podcast structure is different than others I listen to in that half the time is spent interviewing someone and the other half is spent answering 3 questions. Alli always has great strategies for saving time and keeping a healthy perspective. HER with Amena Brown I loved Amena’s first book and her podcast is great too. This first season is focusing on body image and she’s done a great job of highlighting authors and speakers I’m not hearing any other place. Katie Couric: I love Katie’s interview style and how respectful she is of her guests. Brian, Katie’s co-host does an excellent amount of research so interviews are thorough and well rounded. Armchair Expert with Dax Shephard: Dax Shephard is humble and kind. He swears a lot, so this one might not be for everyone, but besides that, I have appreciated how open Dax is about why he thinks the way he thinks. Pantsuit Politics: I had to stop listening to this one for awhile, but true to their word Sarah and Beth continue to aim for civility and nuance in politics. Christy Wright’s Business Boutique: Christy is measured and thoughtful. Her podcast highlights a variety of areas of owning a business. I appreciate her insights even when they don’t directly apply to my work. Akimbo: A Podcast from Seth Godin Seth speaks on a subject from his years of experience and then also answers listener questions. 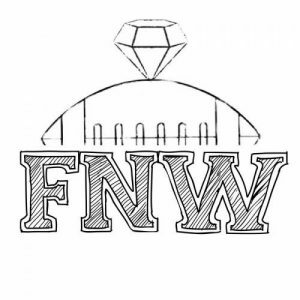 For me, this podcast is the chance to sit under an industry expert and just glean wise ideas. Write Now with Sarah Werner Inspiration from writers for writers. Typology-The Enneagram has been so helpful to me in learning about myself as well as learning how to better communicate with my friends and family. Ian Cron does a great job of giving people space to flesh out why they say and do what they do within the context of their number. The Next Right Thing– This is another short podcast that is packed with thoughtful perspective. I often listen to this one twice to make sure I didn’t miss anything the first time around. 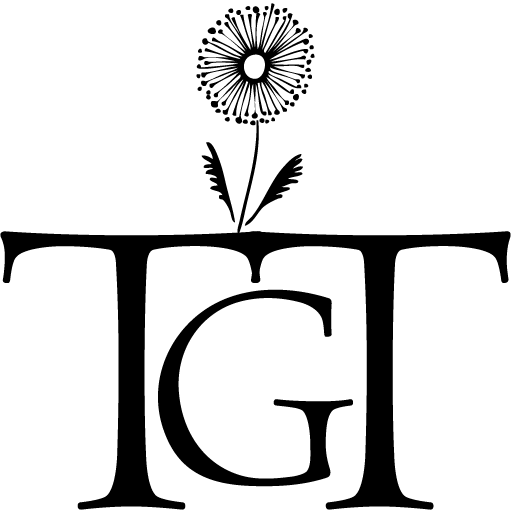 That Sounds Fun– Annie Downs is all about fun and her podcast reflects this every week. Her laugh is contagious, but I also appreciate SO much how vulnerable Annie gets with her guests. Football season is just around the corner and you know what that means…road trips! Download some of my favorite podcasts to keep you company this fall.